I love to see that the weather is already starting to get benevolent, and everyone in the South are starting to pair their boat shoes with shorts. And when it comes to these type of styles, there is no doubt that Sperry's are the must go to. With such and abundance amount of styles and colors, you only need to think which ones are your favorite. But for me personally, I enjoy their original and genuine leather made ones that are truly wearable in every casual form. How are you pairing your Sperry's this summer? 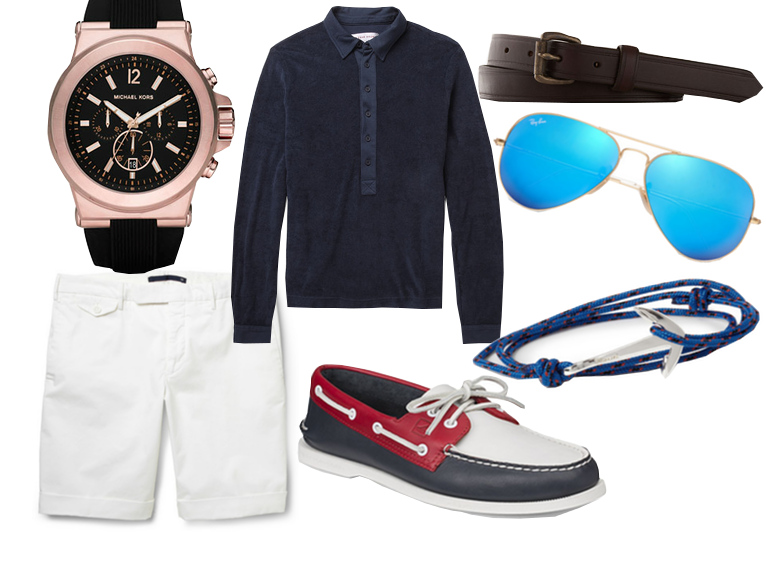 Michael Kors watch, Todd Snyder belt, and Sperry's boat shoes, available at their online sites.